On 7th of June, the European Union and its Member States signed the “New European Consensus on Development” – a strategic blueprint outlining the future of European development cooperation. Containing three distinct references, the document highlights cooperatives as key actors in international development and for the future success of the implementation of the SDGs. 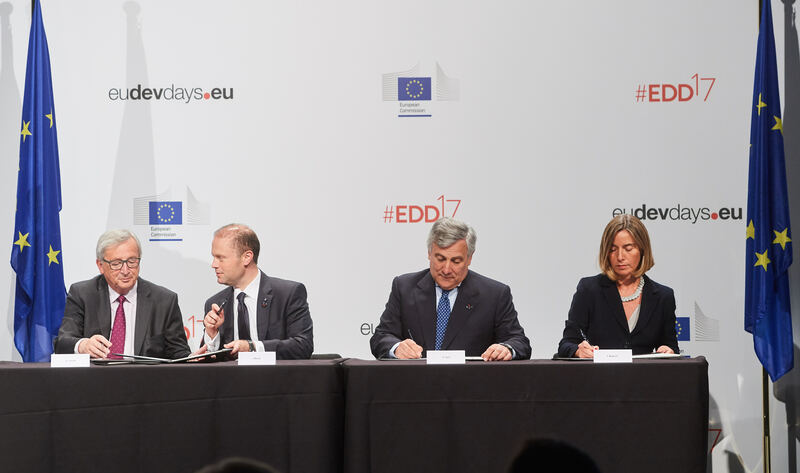 This landmark document was signed during the opening ceremony of European Development Days by the President of the European Parliament Antonio Tajani, President of the European Commission Jean-Claude Juncker, the Prime Minister of Malta Joseph Muscat (on behalf of the Council and Member States) and the High Representative and Vice President Federica Mogherini, with a supporting letter by the European Investment Bank. The new European Consensus on Development constitutes a comprehensive common framework for European development cooperation. For the first time, it applies in its entirety to all European Union Institutions and all Member States, which commit to work more closely together. Cooperatives Europe is very proud of such remarkable recognition for cooperatives as this paper will serve as reference for external policies and development cooperation during the next decade, and will provide the baseline for any future implementations. Click to read the full Press Release on new European Consensus on Development.